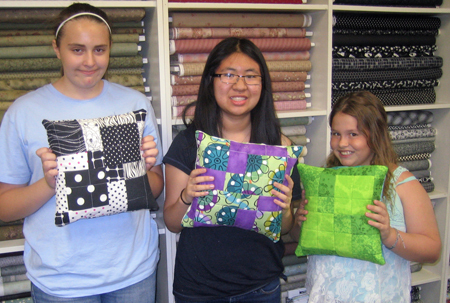 We had our first “So Summer, Sew Fun” class of the summer at The Sewing Room in Tucson, Arizona. The girls made Disappearing Nine Patch pillows. Don’t they look great?